If you plan to make your home welcoming to everybody, it’s essential to make it handicap accessible. To achieve this, you don’t certainly need to do an extensive home renovation. A few low-cost and straightforward remodeling steps can transform and make your home more comfortable to maneuver for disabled individuals. This article discusses the best six hacks for making your home handicap accessible. 1- Widen your doorways and hallways. Medical equipment such as wheelchairs and walkers typically require widened walk space and doorways for entering and executing turns. The average doorway width is less than 30 inches which are too narrow for such medical equipment to go through. Hiring a professional carpenter to conduct the doorway expansion will transform your home and make it easily accessible and comfortable to use by disabled individuals. A qualified carpenter ensures a more high-quality work is done on your home. 2- Install handicap accessible features in the bathroom. Recent studies show that the majority of household injuries occur in the bathroom. Special attention should be given to installing handicap accessible structures to prevent such accidents. Features such as grab bars and handrails in the bathroom will act as supporting structures in providing walking support to the disabled. Replacing slippery bathroom floors with non-slip surfaces and installing rails along the bathroom walls will help prevent falls and injuries. Replacing a low-level toilet seat with a raised seat will make it easily accessible to disabled individuals. Installing a transfer seat will make it easier for disabled people to move from the wheelchair to the bathtub. 3- Replace door handles and water taps. Doors with knob handles will be difficult to handle for disabled individuals and the elderly. Replacing such knob handles with pull handles is fast, stress-free, and inexpensive. Replace higher door knobs with lower automatic door openers. Consider replacing your single-lever taps with washer taps that can easily control the water flow pressure and temperature making life easier for disabled people. To make your home handicap accessible, you have to make it easy for wheelchair movement. You can choose to add a threshold ramp on your doorway or just convert the staircase to a ramp. A ramp makes it easier for wheelchairs to move. Put more attention at the entrance to your house by installing a door ramp. Make the design of the door ramp as wide as possible with a non-slip floor surface. Ensure you make your kitchen as comfortable as possible for individuals with disabilities. Lowering your kitchen countertops makes it easy to reach even If on a wheelchair. Consider installing kitchen appliances and equipment that are easy to use and reach by disabled people on a wheelchair or walker. Move the storage shelves and cabinets right above the ground since it will be hard for disabled people to reach up for suspended storage units. Remove rugs and loose carpet in the kitchen and all of the house to make wheelchair and walker movement easier. It will be important to lower the heights of furniture in your home to make it reachable for someone in a wheelchair. 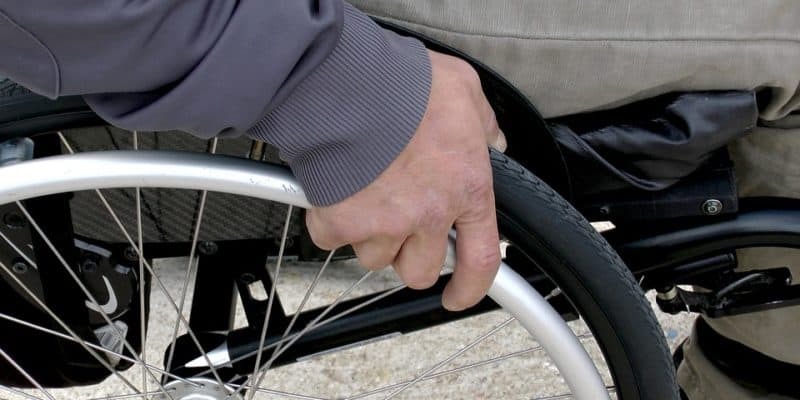 Disable people usually find it hard to reach items in kitchen shelves, dining tables or to maneuver from the wheelchair to a sofa. Additionally, consider rearranging the way you have organized the furniture in your house to create clearance room and to enable for swift move around by a wheelchair-bound individual. Reduce the height of the kitchen sink to a reasonable size to be accessible while in a wheelchair. The process of transforming your home and making it handicap accessible shouldn’t be a difficult exercise. All you need is some careful preparation, paying attention to each detail involved and remain cautiously of the features and enhancements to be added. Taking these six tips will help transform your home and make it handicap accessible to any disabled individual.